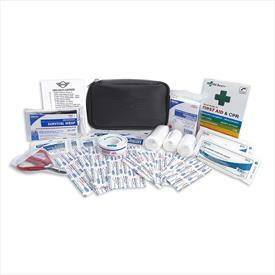 This premium first aid kit offers on-the-road first aid essentials in a soft, zippered pouch with an embossed MINI logo. Be prepared should the need ever arise. 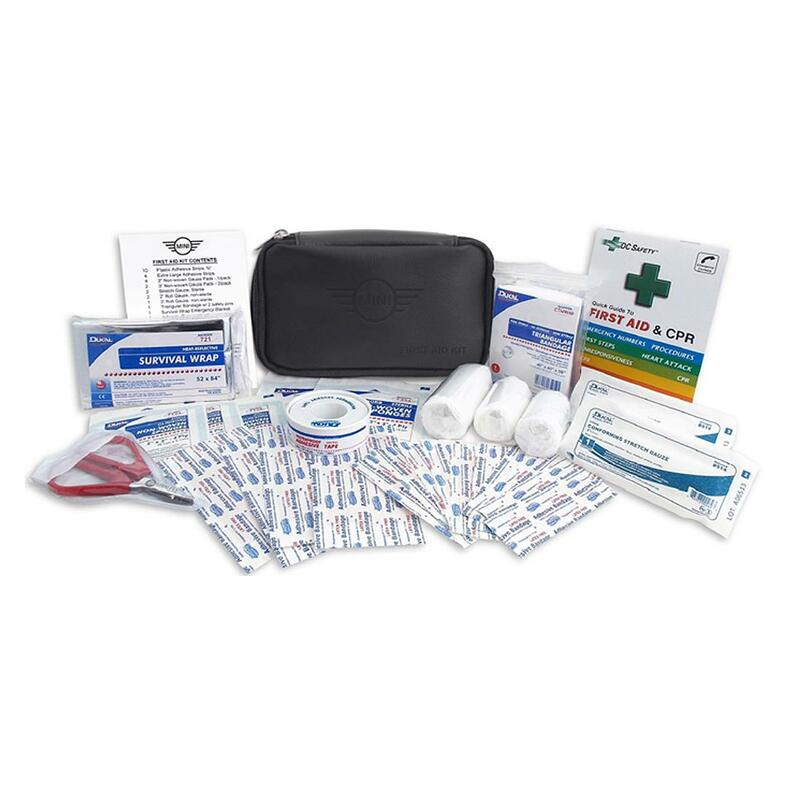 Kit contents include: medium sized bandages, large sized bandages, triangular bandage, 2” and 3” Non-woven gauze pads, stretch gauze, 2” and 3” Rolls of gauze, survival wrap blanket, adhesive tape, scissors and first aid instruction booklet. For every Mini First Aid Kit sold a $5 donation will be made to the American Red Cross. This donation will support disaster services, collecting lifesaving blood, teaching skills to save a life and assisting military members and their families. Together, we can make a difference!